Look Ahead - The Unite Fight Back Continues! On Thursday 12th June Unite members at Look Ahead organised a protest outside Hackney Town Hall Forty affected staff members attended the lively lobby to protest at Look Ahead's decision to run down essential support services in Hackney. Staff at Look Ahead Housing in Hackney are facing their second substantial pay cut in two years. In 2012 Look Ahead made salary cuts of up to £6,000 per person for frontline care and support staff in their Hackney Supported Housing contracts. Staff have now been informed that Look Ahead plan to cut pay again by a further £3,000 per person. Unite members at Look Ahead in Hackney are determined to fight the proposed cuts. 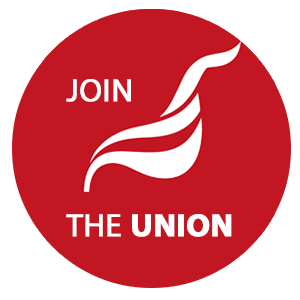 Union membership has increased 300% and Unite the union is balloting affected members for indefinite strike action. Look Ahead's latest accounts show 12% growth last year, reserves of £61 million, and that they have awarded their Chief Executive a £60,000 pay rise. Join us this Thursday to support Look Ahead employees in their fight against these unnecessary cuts!